Opening this coming Friday, August 26th at Galerie Alexandra Saheb is Alessandro Roma Unfolding the Folds. The exhibit will feature new work by the Milan based artist who will be present at the gallery for the opening. I wrote about a previous exhibit of Alessandro’s at Scaramouche Gallery in New York and posted it here, February of this past year. Known for his usage and assemblage of torn, cut, and painted paper, Unfolding the Folds will feature intricate, painterly works along with a “living” sculptural installation of sorts that appears to be influenced by the Arte Povera movement, specifically Giovanni Anselmo, Untitled, 1968 whereas the artist used granite, copper wire and lettuce to make a sculpture that has a sense of breath and a necessity to be interacted with for its intention as procured by the artist to be fully realized. 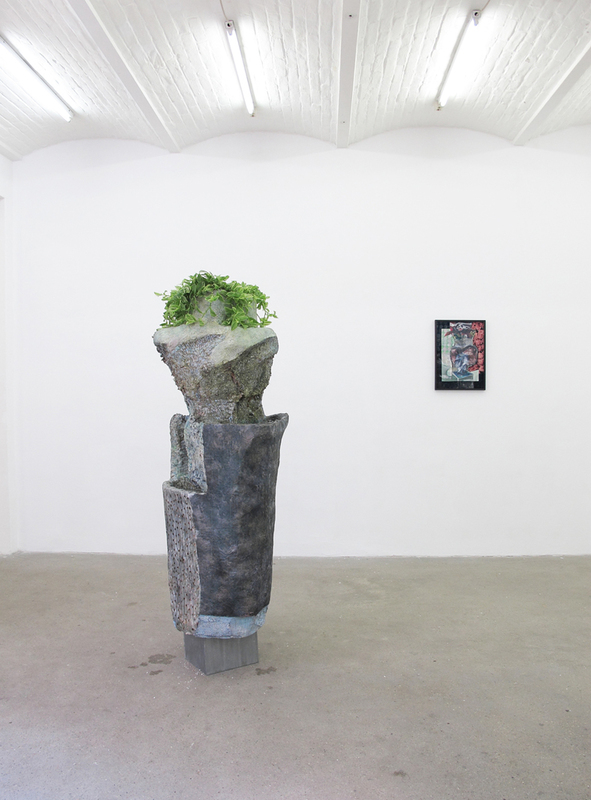 Alessandro marks the past with a visual notation but also looks towards the sky and has made a sculpture that could have easily plummeted from outer space, landed in a park and now is archived matter, installed in the gallery just in time for the Berlin opening. 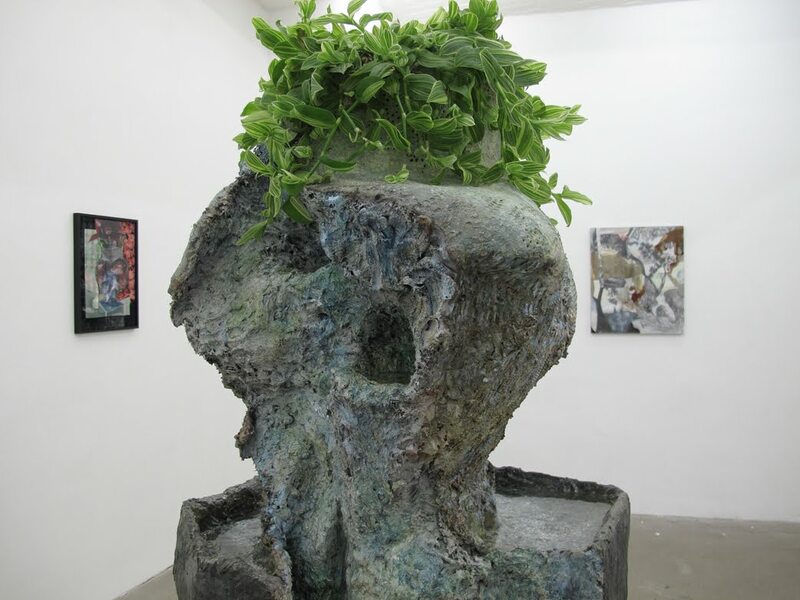 If at first glance the presence of the sculpture lends itself as an element of foreshadowing, upon closer inspection the works on paper present possibility for narrative, giving the viewer the occasion to enter into 2-dimensional space and imprint his/her own personal experience. The presence and purpose of visual content in the drawings has been derived from the writings of French Philosopher Gilles Deleuze who was known for his studies on Assemblage Theory and Social Complexity. Roma utilizes Deleuze’s interpretation of physical substance as stated; There is no one substance, only an always-differentiating process, an origami cosmos, always folding, unfolding, refolding. 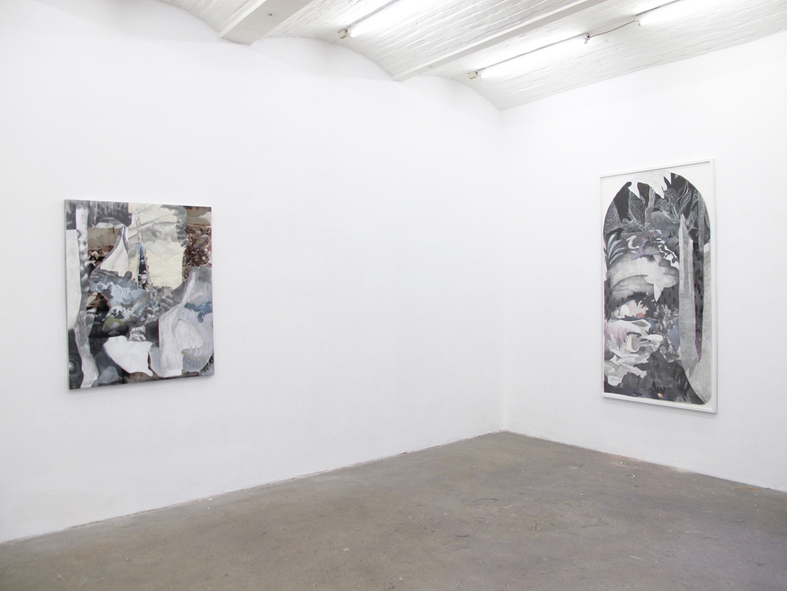 Alessandro Roma Unfolding the Folds is one artists attempt to survey the cosmos, blink and explicate the visual nature of infinity, as translated into painterly, collage based drawings. The exhibition opens at Galerie Alexandra Saheb in Berlin, August 26th, 2011 at 18:00, and will be on view until October 8th, 2011. All photographs courtesy of the gallery and Alessandro Roma.